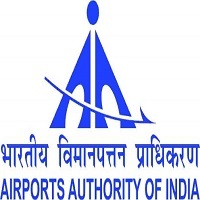 AAI Jobs Recruitment Notification 2018.Airports Authority of India, AAI inviting applications for the positions of Junior Assistant, Assistant, Senior Assistant.Interested and Eligible candidates can apply for the positions. Last Date for Submission of Application is on July 31st, 2018..
b. Junior Assistant (Drawing-Elect)(NE-4) - 10th Pass, ITI in Elect & Mechanic Draughtsmanship with 2 years relevant experience in the concerned discipline. c. Junior Assistant (ACR) (NE-4) - 10th Pass, ITI in Air Condition & Refrigeration with 2 years relevant experience in the concerned discipline. 2. Qualification: Graduate with typing speed @ 40 w.p.m. with computer knowledge with 2 years relevant experience in the concerned discipline subject to trade test. a. Senior Assistant (Accounts) (NE-6) - Graduate preferably B.Com. with computer training course of 3 to 6 months with 2 years relevant experience in the concerned discipline. b. Senior Assistant (Steno) (NE-6) - Graduate with 80/40 w.p.m. with 2 years experience and computer proficiency. The candidates found provisionally eligible shall be called for On-line test and Admit Cards shall be issued to them accordingly.The selection for the post shall be made on the basis of performance in On-line examination and Trade test, as applicable. 2. Last Date for submission of On-Line Application 31.07.2018 up to 2359 hrs.